PERTH Zoo’s baby giraffe steps into public view for the first time today after spending the past few weeks bonding with her parents. The calf was born to first-time mum, eight-year-old Kitoto, and dad, 15-year old Armani, on March 7. Senior keeper Kaelene McKay said despite all the excitement over the new calf, it was important to give her plenty of time alone with Kitoto to bond before introducing her to new experiences. “Our calf met Armani on day six and he proved himself to be an excellent dad,” she said. “She’s a pretty brave giraffe and very curious, but she is still adjusting to her surroundings and Kitoto is very protective so at times they may still retreat to quiet areas. 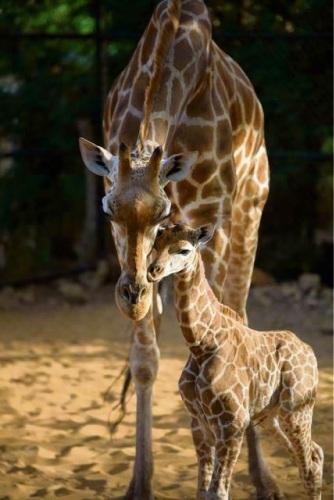 The calf, who stands more than 160cm tall, is the first giraffe to be born at the zoo since 2012.